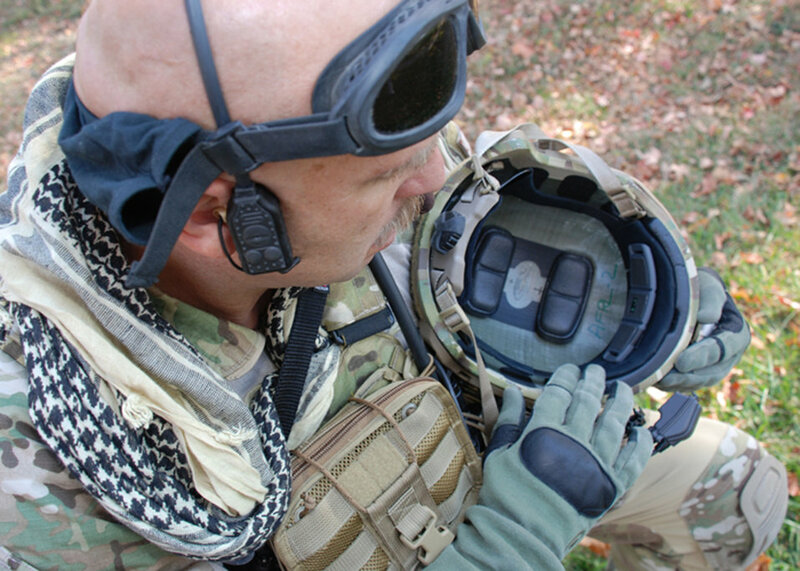 Master Sgt.Robert Bean inspects the wireless pulse oximetry sensor in the front of his helmet, Oct. 12, 2010. The sensor is part of the Battlefield Automatic Life Status Monitor being developed by QinetiQ in coordination with the Human Effectiveness Directorate. Sergeant Bean is from the Air Force Materiel Command Aeronautical Systems Command, Battlefield Airman Branch.